Cladding paint available at Rawlins Paints today for wooden and timber surfaces include some of the UK's leading specialist paint and coating brands, including the popular Bedec Barn Paint. These products are available to order today for next day delivery, to immediately begin work on restoring and rejuvenating tired, aged, weathered and worn wooden cladding. Whether it is for a large scale commercial structure, or smaller domestic projects, you can be assured that Rawlins Paints only stock and distribute the UK's best cladding paints for wood and timber. Spring and summer are popular times to conduct maintenance on exterior wooden cladding, whether it is to repair damage from winter weather, add colour to faded panelling, or to re-seal and add many more years' protection to a wooden structure. From decorative cladding paints to simple colourings, and solvent to water-based wooden cladding paints, get 5% off your order today and free delivery when you spend £75.00 + VAT or more. For technical and application advice on any product, please refer to the datasheets provided or contact a member of our support team. Alternately, you can ask a question about a specific cladding paint on the product listing page. Don't forget that Rawlins Paints also stock a wide range of Plastisol and metal cladding paints. Jotun Demidekk Translucent Woodstain is a water based transparent treatment for exterior wood, based on a unique combination of alkyd/acrylic resins and reinforced with components blocking UV radiation. This offers better protection than the standard translucent stain products and can protect timber for up to 8 years. 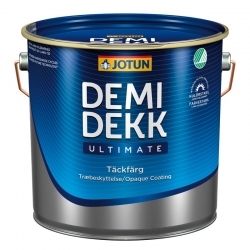 The advanced binder technology in Jotun Demidekk Ultimate Helmatt gives the paint very good colour stability and long mainitenance intervals. The product gives the substrate a completely mat, elegant apperance which contains effective film conserving agents that counteract mould growth on the substrate. 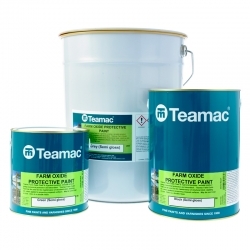 Teamac Farm Oxide Paint is an economical, general purpose, versatile product giving economical protection and decoration which can be used for the maintenance of structural steel, cladding etc. when applied to properly prepared surfaces. May be used coat on coat and dries to a durable gloss finish. Can be applied directly to prepared iron or steel. From new builds and wooden surfaces that require extra waterproofing for its first year, now is the ideal time to invest in cladding paints that will seal and protect surfaces against fungal growth and algae, and seasonal contraction and expansion of wood and timber over spring, summer and autumn. 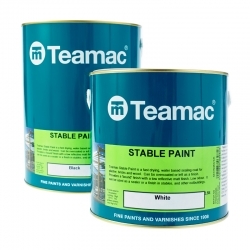 It couldn't be easier to apply cladding paint or woodstain to wood and timber, with many of the paints listed here applicable by brush, roller or spray. All previously coated or treated surfaces must be prepared according to a product's datasheet, with surface cleaning and any required treatments applied to deal with problems which may have damaged the stability of the cladding over time. Looking after woodwork can be tricky, especially if it’s external. As timber is a natural product, you need to make sure it’s well-maintained and protected against the elements. When it comes to timber cladding, which needs to be treated very differently to metal cladding, you want to make sure it’s in good shape and looking great. If you’re thinking about using woodstain or a paint coating on your timber, it’s likely you’ll need to start with a good primer. Even if your wood is worn and the wood fibres need binding, you can use a primer like Jotun Visir Clear Primer to bind the fibres together. Jotun Visir Primers are an integral part of the Jotun Demidekk range of products and systems and should be your first step for all new and weather-worn timber cladding, but also on pressure impregnated wood. Why? It gives extra durability to your cladding as well as helping to protect the surface from wood rot, fungi and UV light. All these properties will work together, leaving you a sound base for your chosen topcoat. Then, whatever Demidekk coating system you use on top will be even more effective and your cladding will look good as new and last longer! Overtime, if you have no protective coating on your timber you’ll start to notice problems with things like fungi and damage from UV rays. Issues like this can seriously affect the finish and the longevity of your cladding. Make sure it’s protected with a product like Jotun Demidekk Ultimate. We suggest this as it contains fungicide to protect you against fungus as well as UV protection. 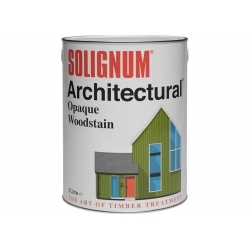 You can use it on new woodwork or for maintenance on previously painted and stained wood as well as pressure impregnated wood. This protective coating even has a 12-year life expectancy AND great colour stability. So, you know your timber cladding will look great too! There’s a versatile range of colours meaning that you can have beautiful, bold, cladding that’s easy to maintain! Another part of maintenance on your timber cladding could involve reapplying a wood stain treatment to the wood. Sometimes, you just don’t want to use paints. 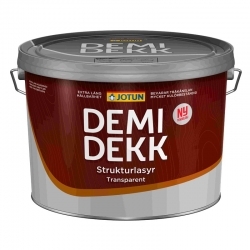 Jotun Demidekk Translucent Woodstain is as it says in the name, a translucent treatment that is reinforced with UV radiation blocking and fungal combating properties. 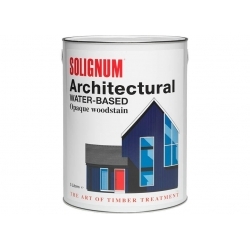 You could use this product on new woodwork, pressure impregnated and previously stained wood! This product has an 8-year life expectancy, meaning you can keep maintenance low, and show off the natural beauty of your timber cladding through the translucent stains. It even helps to repel water, extending the longevity of your cladding either further.